Mention brisket, and my stomach does somersaults. In like Flynn. 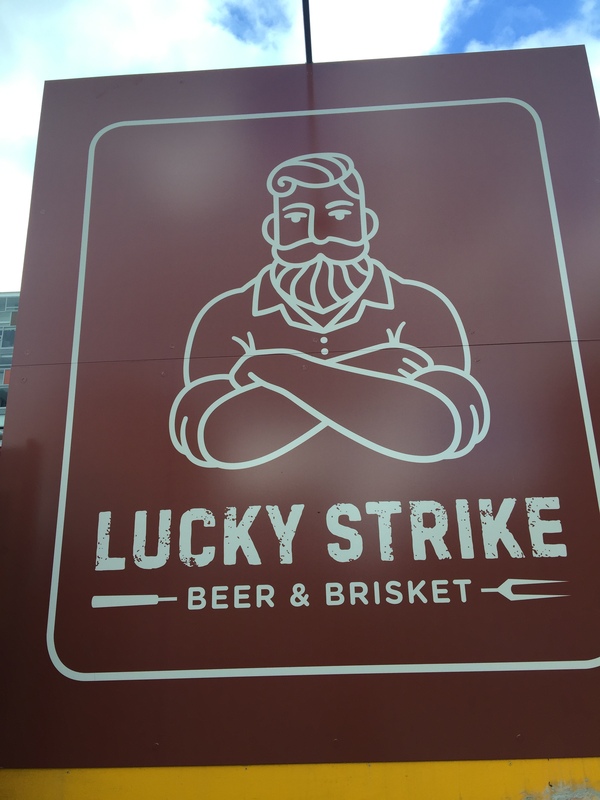 Hubby and I loved our bbq brisket in Texas last year, so to have Lucky Strike, a unique outdoor setting pop up in Welly, 12-14 Tory Street, behind The Lanes bowling alley, I can’t tell you how excited I was. 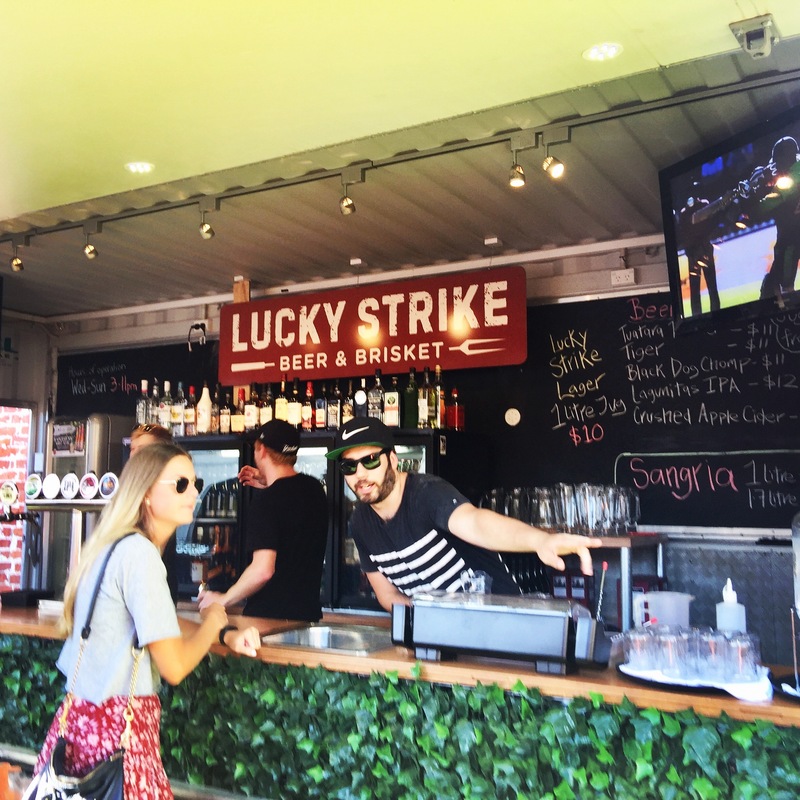 Lucky Strike is also an American brand of cigarettes, but the only smoke you’ll see here is from the BBQ. It’s also the name of an American bowling lane franchise and this spot was the car park behind the Lanes Bowling alley. 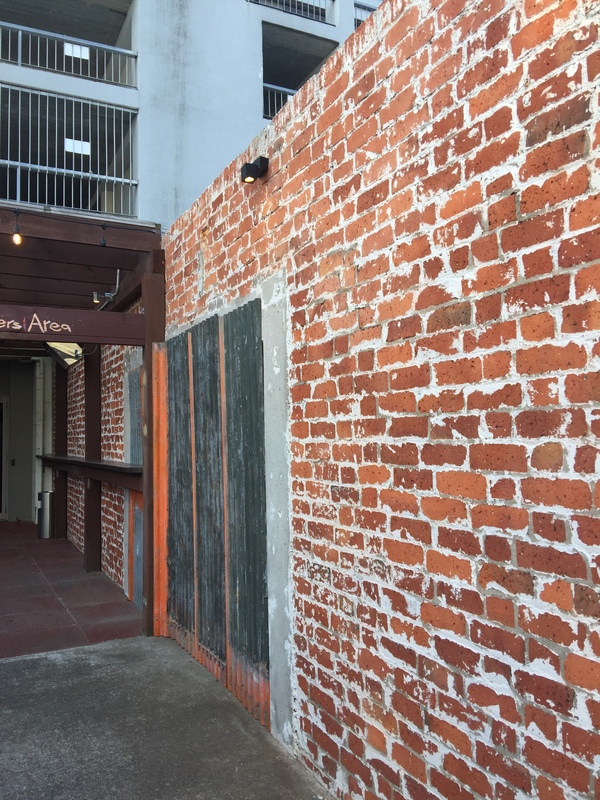 It was damaged in our earthquake, and now has been cleverly transformed, thanks to sporty spice/entrepreneur, Regan Wood. 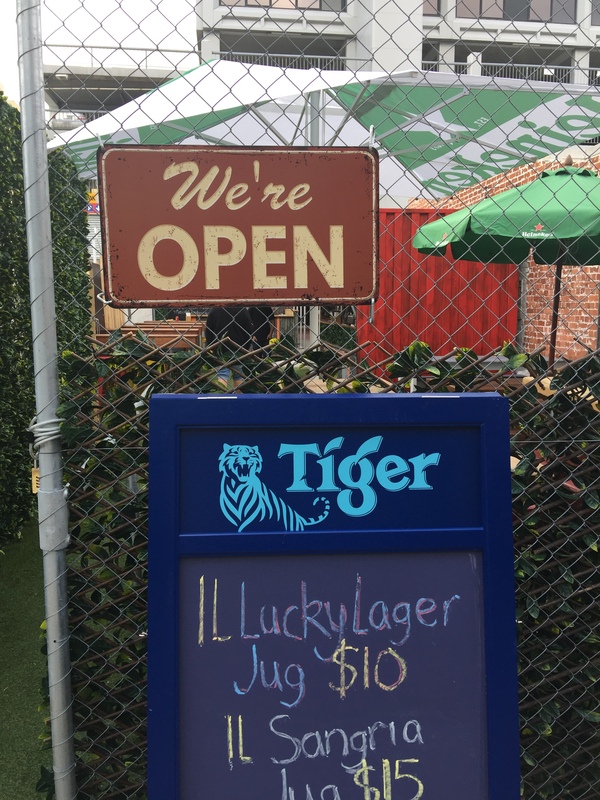 The bar is an old shopping container and as well as craft beers, ciders, sangria jugs ($15), prosecco, it’s fully stocked. 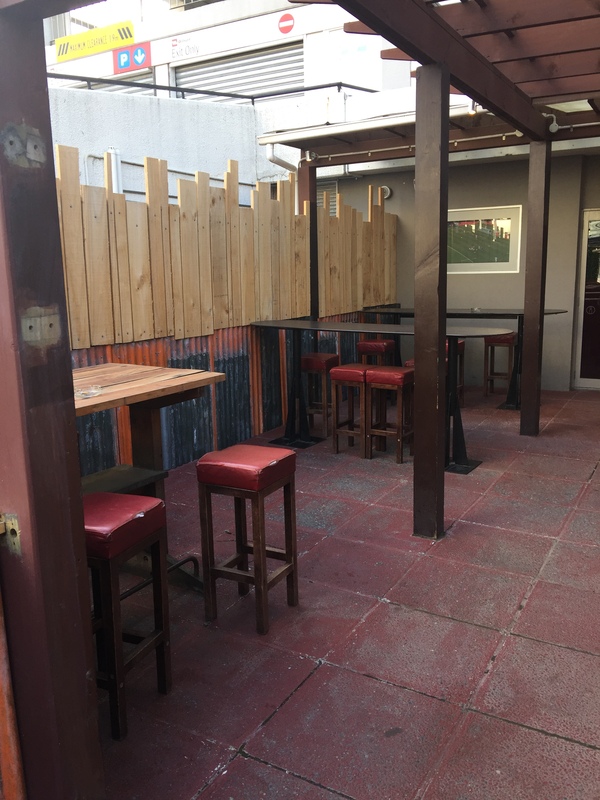 The flooring is artificial grass with large tables, designed for sharing and having fun. Tshirts, shorts and jandals welcome. 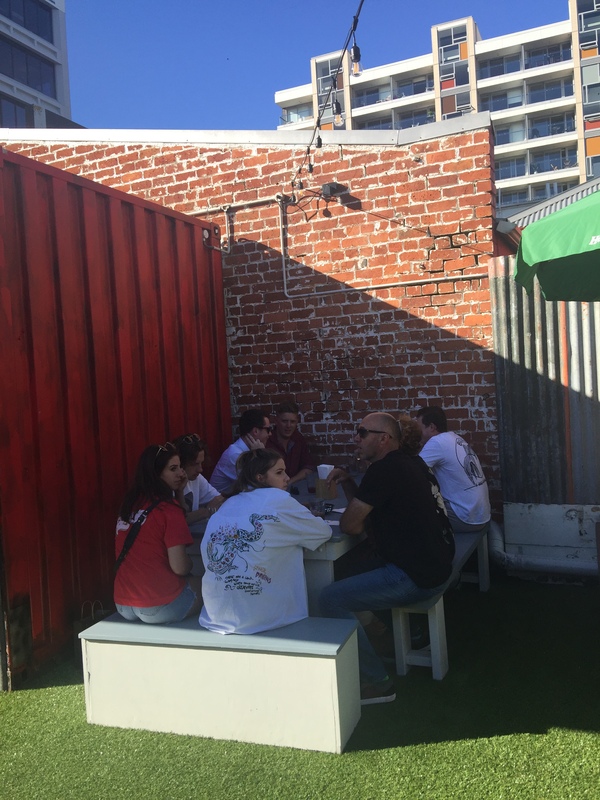 Open daily from 3pm (weather dependent), as it’s au dehors (outside) of course. You can order fries, wedges, flatbread, burgers, pizza, chicken satays or wings or opt for the smokin’ specials e.g. brisket or smoked chicken sliders. 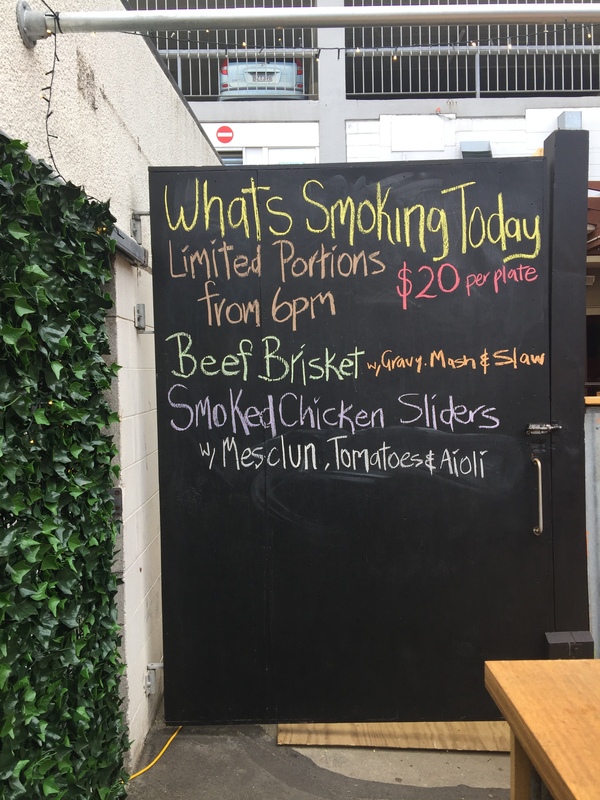 Be warned they have limited brisket available which is their signature dish, so strike whilst the iron is hot. 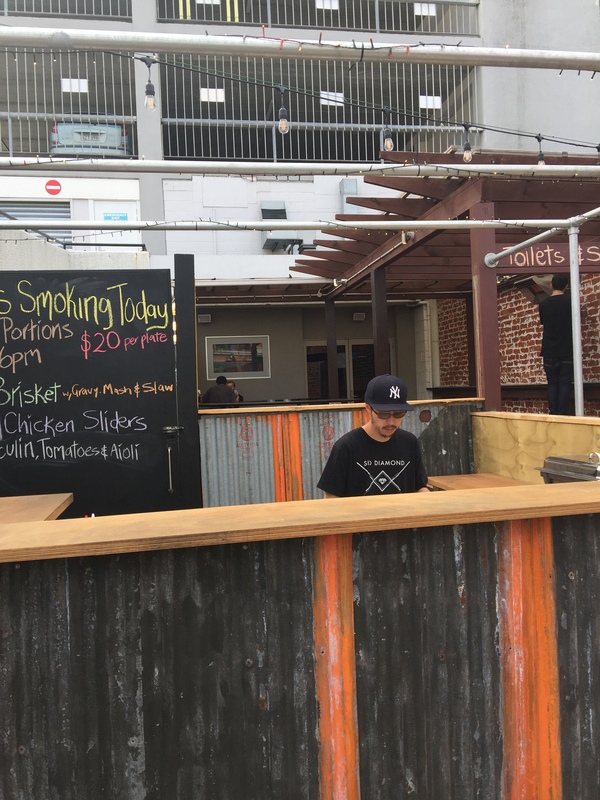 Future plan is to offer pulled pork and jerk chicken. 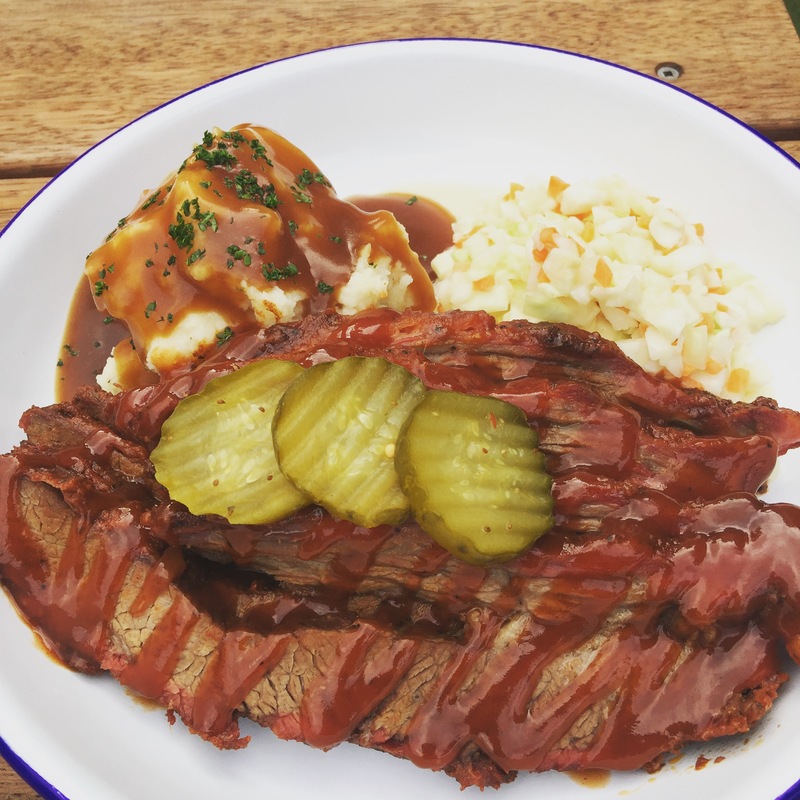 The $20 brisket plate is amazing value and served with a delicious tangy, sweet-sour sauce, pickles, slaw mash and gravy. It’s served on retro tin plates. 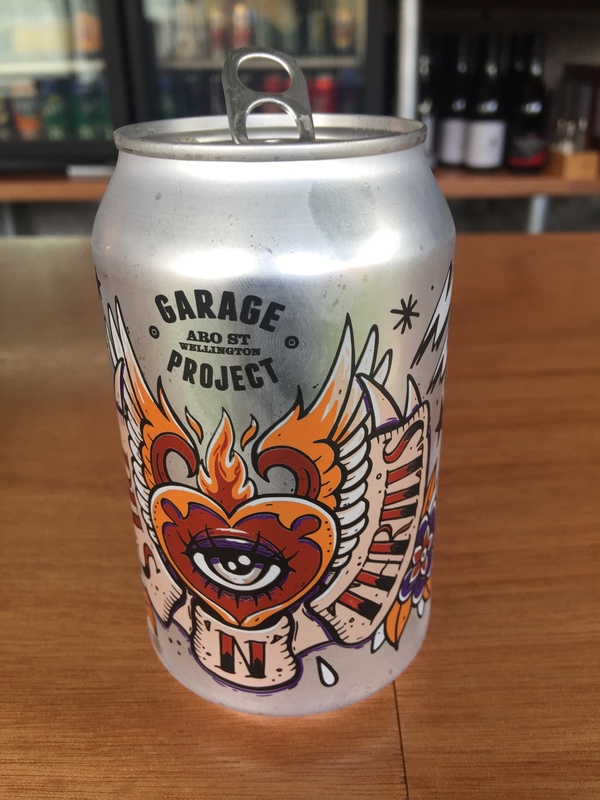 Hubby drank with a garage project beer and I had a few glasses of the yummy sangria. Other craft beers will also alternate later on. 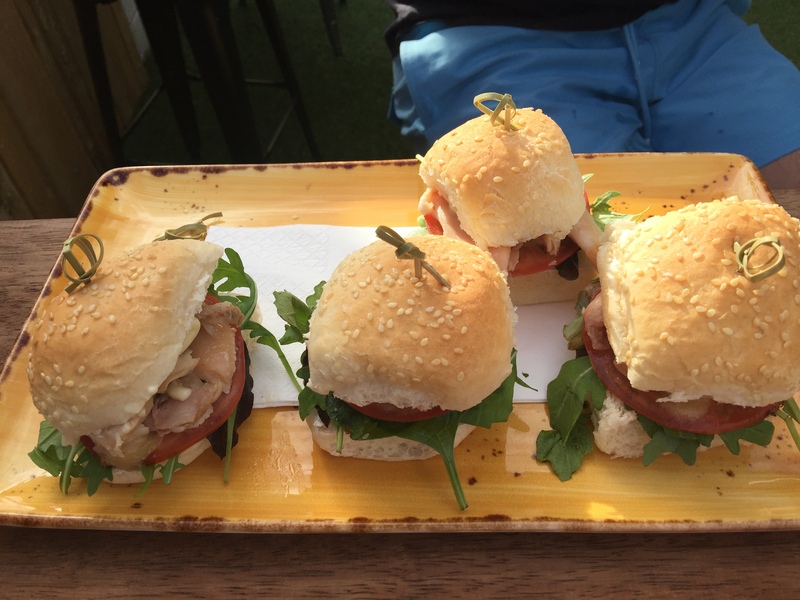 As for the 5 sliders on a plate for $20, it’s just amazing value. You won’t go hungry here for sure. This place could be a relaxed private chilled wedding venue or impromptu special occasion or corporate event. You would need a back up plan though weather-wise. Indoor ten pin bowling perhaps? 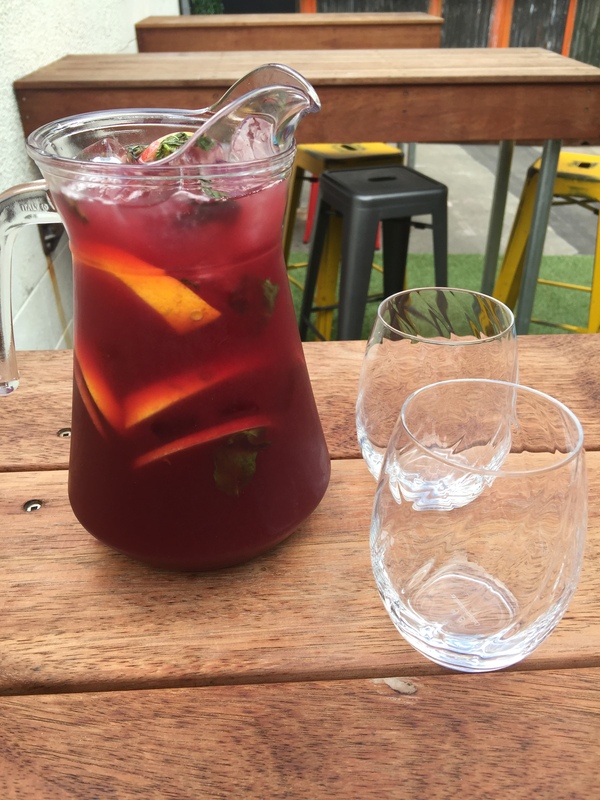 You know how fickle our weather is, however yes we so have struck it lucky so far with our fabbo summer. 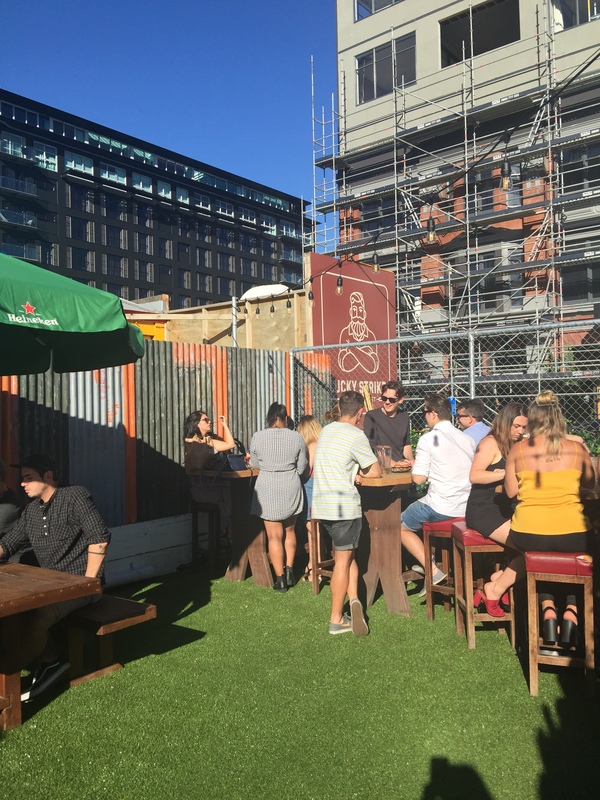 Let’s hope we have an Indian summer, so these guys make the most of this space, and fill our Welly belly’s with good food, drink, fun and laughter. Regan hasn’t finished with this just yet. Outdoor heaters, sun-shades, nana blankets are on their way and merchandise etc. This place can be anything it wants to be. It’s not a foodtruck. 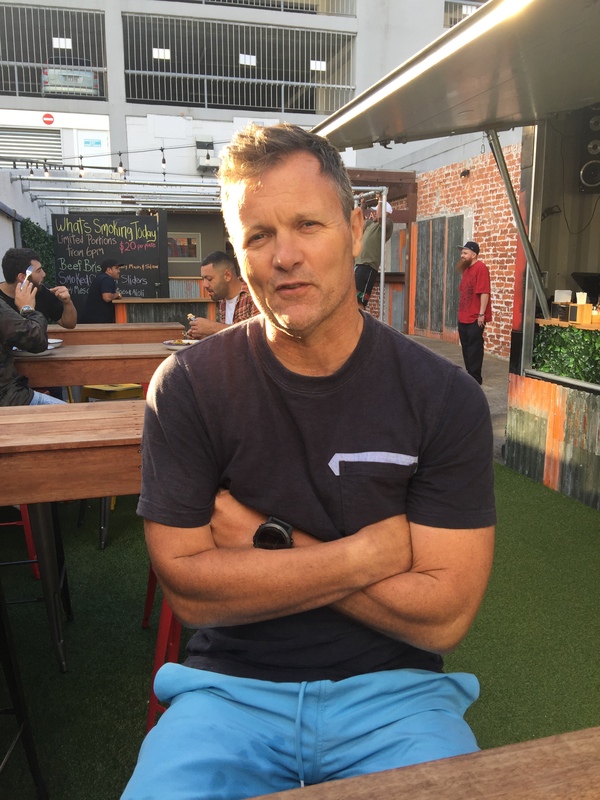 It’s not a rooftop bar but it’s kind of inbetween and so Kiwi/American casual, affordable, good-value dining. The staff are fantastic, funny and friendly and nothing is a problem. Get on down ya’ hear? !